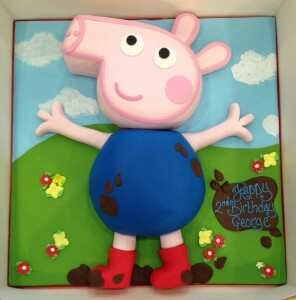 As probably our most requested children’s birthday cake, Peppa and family live on in various sugary guises. We’ve added another two to our repetoire but can make any design your Peppa fan desires. Check out our Peppa pig cakes on our website as well as the newest creations below. 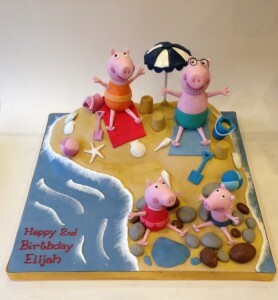 George Pig jumping around in muddy puddles!